You wanted a video? Is that what I heard earlier this week after I posted photos of lots of living sea creatures in the low tidal pools? If so…. I’m delivering! I captured some footage of the awesome SHARKS EYE, STARFISH, SAND DOLLAR, FIGHTING CONCHS, BABYS EAR and an incredible LESSER BLACK-BACKED GULL. Wherever in the world you might be, sit back and enjoy the beautiful life on the Sanibel beaches. Wonderful! Thanks for sharing! What is the music in the background? Simply beautiful to watch. Love the music and watching them move along and going into the sand was very special. Thank you Pam. I fell in love with Sanibel and can’t wait to come back!!!! 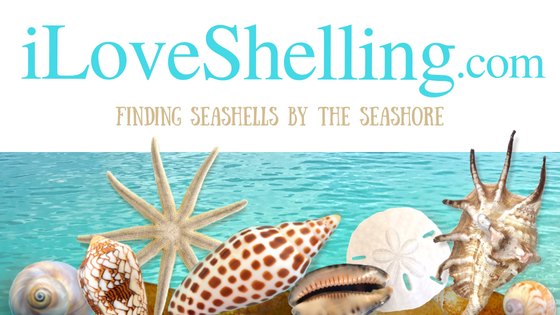 SHELLMAZING !!! Awesome Pam !!! What talent you have !! One more month – I can hardly wait! Beautiful video Pam! THREE weeks until I’m headed your way and I can’t hardly wait! <3 Thank you for sharing, Pam! How beautiful, Pam!!!! Just gorgeous! (And how creative you are in the credits, too!) Good job and thank you! Love it! I’ve never seen a like baby’s ear until your recent posts, so I thought that was really interesting! I’ll be leaving for Naples on Sunday, I can’t wait to get some of that shell action, especially because of the storms down there today! Beautiful!!! Thank you so very much for filming, editing and sharing that video with us. Awesome. Thanks for an awesome video! I loved the baby’s ear, and I am glad that you told us what it was because I would never have guessed it! What a beautiful video. It was a great gift for me today as it is my birthday. I’ll be on island in less than a month now. Crossing off the days until I can experience these beautiful moments in person. Thanks again and I’ll see you soon. I love Sheldon. This video was incredible. The creatures, music and captions were a true reflection of another one of your many talents. It made my stress from the week melt away. Thank you so much! I also want to extend my appreciation for including my juvie junonia in the February on Captiva you tube video. I left it at my Florida home but can now enjoy it in Arizona. Thanks for sharing with us! While I am quite excited to find an empty shell, I am really just as excited to see the living ones. So interesting to watch them. I have never seen a living baby’s ear – very cool :-). Thank you, Pam. That was beautiful! King Neptune is one fantastic production designer! Wow short and sweet has never been cleare. Thank you for reminding me of how awesome God’s creation makes me feel. Do you happen to know the JuNE schedule ? We would have 6-8 sellers . I wanna cry!!!!! I miss Sanibel!!!! and shelling!!! I think spring will never get here to Mi! I bought a huge bag of landscape shells I found thrifted the other day just to sort and go thru because I missed it so much! thanks Pam! Oh darn- I see they don’t match ur schedule- I haven’t gotten the schedule back from cruise to Cayo costa so I will post both when I have the dates for Cayo confirmed. (I just looked – Cayo isn’t on those dates either- but it’s still not confirmed)!so sorry!! Love your site. And I love the music in this video, I would like to know the name of it also. But, for now, looking forward to coming in May and again in Nov-Dec. 2015. My husband passed last Nov. and he always took me to Sanibel for my birthday. I feel so close to him whenever I am visiting your area. I have learned so much about shelling from you Pam. Thank you for sharing your knowledge. Joyce, I totally agree with you. My mother passed last Oct. and she loved Sanibel. You will definitely feel that special closeness to your husband when you are there, just as I did with my mother. Sanibel has magical healing powers. I know you will enjoy your time there even more now. .
Pam, that was just beautiful. Your talent knows no bounds. The music was just perfect and, as always, I smile at the credits. This was a much needed respite from the chaos that is my life. Thank you. What a lovely, serene video, Pam. You have surely captured the essence of Sanibel. As always, you deliver with such a generous heart – and your clever credits can’t help but make us smile. Many thanks! Thanks for the reminder to buy a lottery ticket! I had to update my Flash player but now I got to see your film, and it is lovely! Well done Pam!